So you’re working in the yard on a beautiful autumn day when you notice that you can’t seem to catch your breath. Sure, you’ve been slacking a little bit on your cardio, and you’ve been known to eat a few slices of cake after dinner, but you reassure yourself that you’re just feeling a bit out of shape. Besides, you’ve been raking leaves and lifting heavy bags of yard debris all day, so of course you’re just tired from all of your hard work, right? After resting for a few hours, you develop an intense pain in your chest, back, and shoulders that won’t seem to go away no matter how you reposition your body. The symptoms above are characteristic of a heart attack, and it’s a silent killer that affects about 720,000 Americans every year. With such a significant presence in the U.S., it’s important to understand what happens during a heart attack and how to recognize when it’s happening, so you can be better protect yourself and your loved ones. As defined by Janet M. Pollard (M.P.H) at Texas A&M, “A heart attack, also called a myocardial infarction, occurs when a section of the heart muscle dies or gets damaged because of reduced blood supply.” This can occur from blockage and or spasms in the coronary arteries, but it’s lack of oxygen that actually causes the muscle tissue to die. Here’s how it works. We all know that the sole purpose of the heart is to pump blood and oxygen to other parts of the body. Before a heart attack occurs, there is a buildup of “plaque” (fat or cholesterol) that forms in the coronary arteries, usually from a poor diet or smoking. This deposit can break off and form a clot that obstructs blood flow to the heart. When blood flow is completely restricted, the heart muscle starts to die from lack of oxygen, causing a heart attack. According to the American Heart Association, a heart attack occurs every 34 seconds in America, and the warning signs are not always obvious. 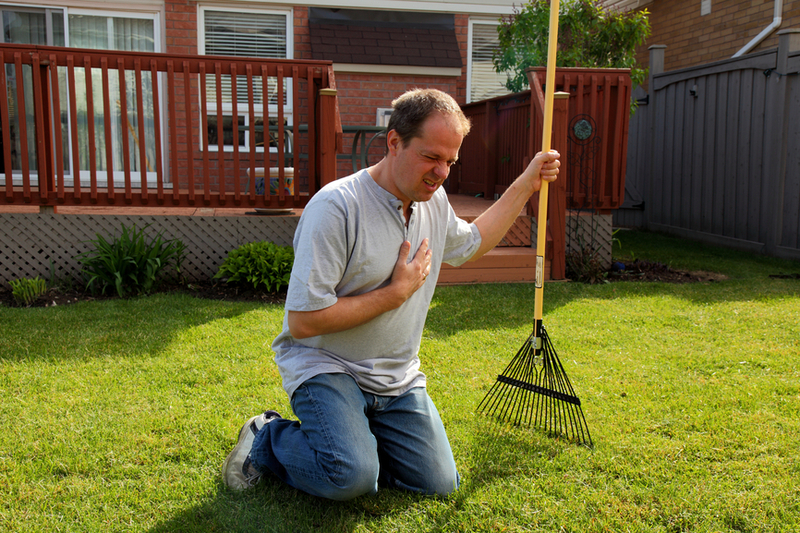 Regardless of what attributes to the heart attack, you can increase your chances of survival by getting help immediately after noticing the first symptom. Every minute of a heart attack causes severe damage that could result in death, so it’s imperative that you receive medical attention immediately after the first symptom. Don’t procrastinate—if you or someone you love is experiencing a heart attack call an emergency center right away. The faster you respond, the more likely treatment can be administered that can reduce heart damage, increase the odds of a quick recovery, and perhaps even save a life.